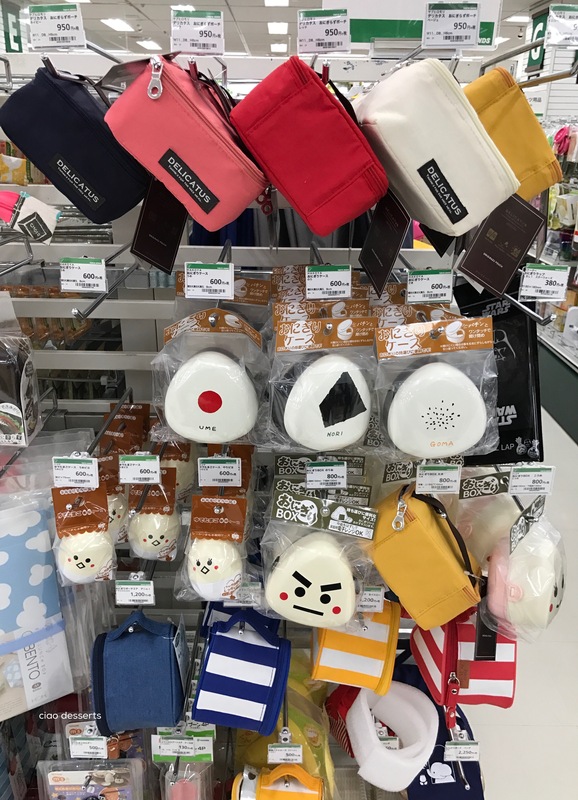 As I mentioned in my post a few weeks ago, one of the best parts about shopping at Tokyu Hands is the sheer variety of items that are available. Plus, everything is displayed in an accessible way, so you can look at them to your heart’s content. One of the appliances I was looking forward to seeing up and close and personal was the…. cue music and spotlight here… the Balmuda toaster oven. (It’s only recently become available in Taiwan, and on a very limited release). Sigh. I’ve been obsessing about this kitchen appliance since I saw this video. During this trip, I was seriously thinking about buying this and just taking it home in my suitcase. But my goodness, this oven is heavy! It would have been the height of impracticality to lug it back to the hotel, and then risk it going through the rough and tumble of the luggage carousel. After admiring the Balmuda’s super sleek design for a very long time, I managed to tear my eyes away, to browse the other appliances. Since my kitchen is so tiny, most of my attention was diverted towards appliances designed for small spaces. Such as these electric tea kettles from T-Fal. The size is perfect for about a cup of tea, and perhaps one bowl of instant oatmeal. Be still, my beating heart. There is a whole section devoted to all sorts of cleaning supplies, for every nook and cranny of your house. It’s probably a good thing that the selection is much smaller and less exciting at the Tokyu Hands branches in Taipei, because otherwise I would probably spend my entire salary on cleaning supplies. Believe it or not, I actually went to Tokyu Hands with a list in mind. 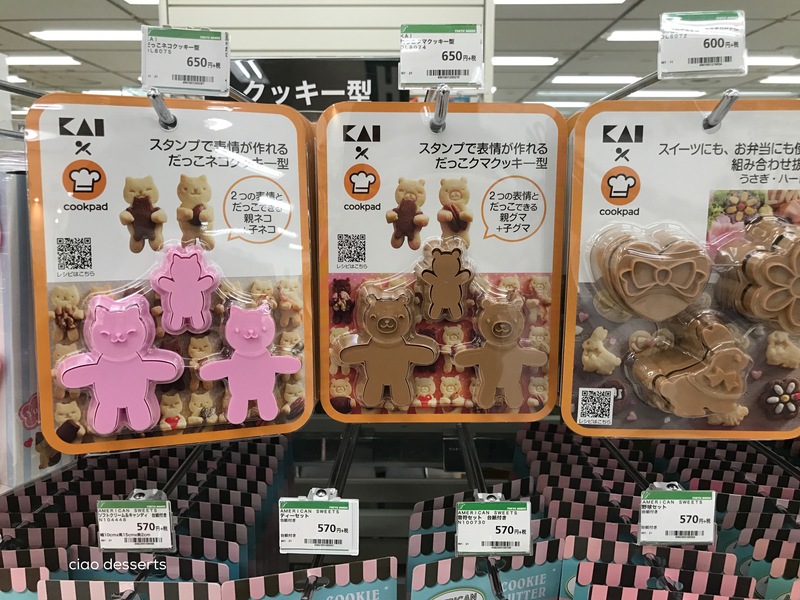 I wanted these teddy bear cookie cutters for cookie cutter collection. I’ve searched high and low for a teddy bear cookie cutter with arms long enough to hug an almond, or pecan or chunk of chocolate. The second item I wanted were bento boxes. I regretted not bringing a proper one back last time, and I seriously think that the lack of a cute bento box is what has been stopping me from bring my lunch to work. I was absolutely mesmerized (and slightly paralyzed) by all the choices at Tokyu Hands. There were aisles and aisles, shelves and shelves of bento boxes of all shapes and sizes. One of the main differences in Japanese bentos and Taiwanese ones is that most people in Taiwan are accustomed to warm bentos, whereas Japanese bentos are usually served at room temperature, and consist of food items that usually taste good without being reheated. So I found a lot of the bento boxes were made out of plastic, wood or stainless steel. I found the mini ones to be quite irresistible. You could probably fit in a sandwich in one of these polar bear ones, or maybe a few slices of fruit and a chunk of cheese. So many shapes and sizes! According to the packaging on the “Foodman” bento box, it is the size of an A4 piece of paper, and thin and flat to fit neatly inside a briefcase (or a tote bag) There are also quite a few that appear to be quite space saving~ I imagine you could get hearty serving of rice, and then some side dishes in the rectangular ones, as seen here on the lower shelves. I bought an onigiri bento box from my last trip, and I absolutely love it. I may have used it once for it’s intended purpose, but other times, I use it for storing small items like candy, or chocolate chips. I was so amazed to see that there is even a specialty box for hardboiled eggs. So adorable, and practical, if you like to bring hardboiled eggs for meals on the go. 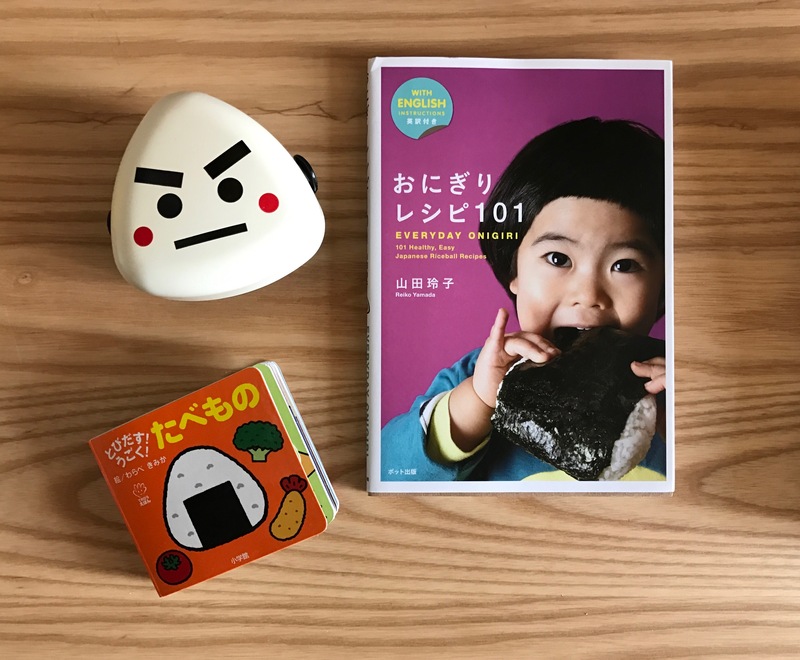 You could probably peel the egg, pop it into the little bento box and not have to worry about it getting smushed in your bag. Now, back to the onigiri bento boxes. I was surprised to see that there are now a few other choices. 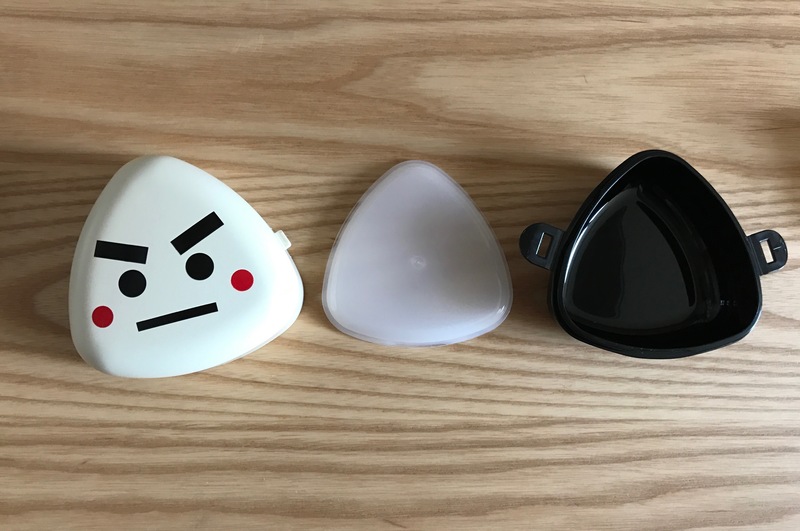 I was especially taken by the onigiri family~ each with a different expression. 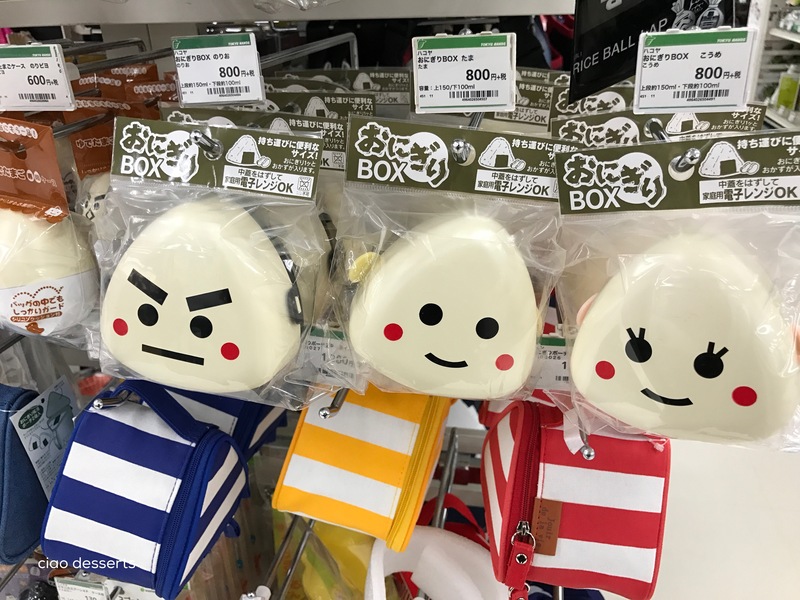 I couldn’t resist the frown-y faced one, because it was just too kawaii. This one is a bit different than the one I bought before, because it has latches on the sides, to keep the box firmly closed. 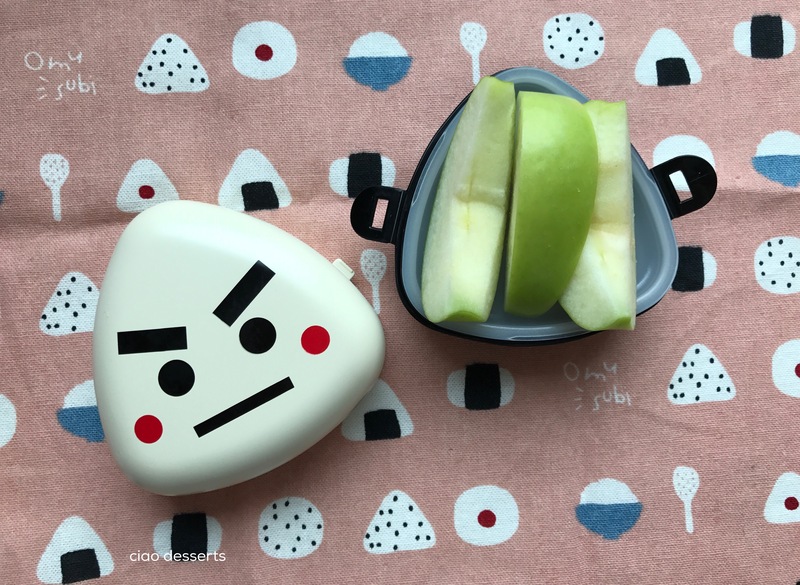 I am now a little regretful that I didn’t buy a matching case too, but I promised myself that if I do end up bringing lunches to work a lot this year, I’ll reward myself with fresh bento supplies during my next trip to Japan. One of my absolute favorite things about shopping in Tokyu Hands (and in Japan in general) is the level of care they put into the packaging. It’s an efficient process, where the fragile items are neatly wrapped in paper, and all items are lined up to fit perfectly inside the bag. Even my precious frown-y face onigiri box is facing right side up, as if saying “yup, that’s right! I’m going home with you.” The entire process leaves me feeling wholly satisfied that I have handed over your hard earned money to the right hands. P.S. Tokyu Hands is a tax free store, you have to spend over 5000, and only certain items qualify for the tax-free exemption. Certain items such as shampoos and soaps do not, but I think my bento boxes, OXO storage containers and stationery items did. 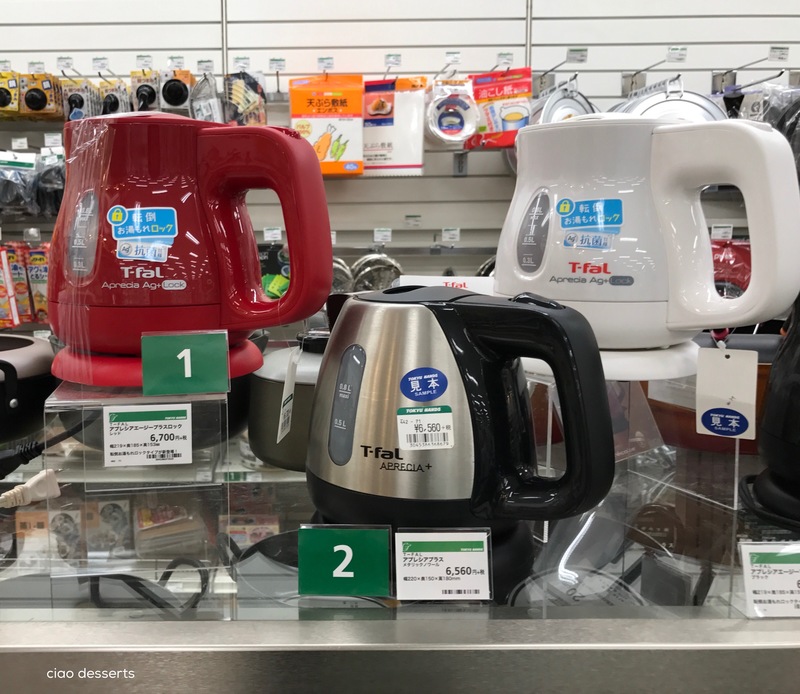 The tax free counter is located on the first floor of Tokyu Hands, and you absolutely must have your passport in order to claim it. Now, let’s take a closer look at the bento boxes that I bought! I ended up with two~ the aforementioned onigiri one, and this cheerful yellow one, shaped like a little pot. Both are made of plastic, and are fairly lightweight. I’ll show you a few pictures of what they look like on the inside. The box on the left is the one that I bought a few years ago. The one on right is the new one, that I bought during this trip. Appearance wise, they are similar, in size. I was pleasantly surprised to see that the new, updated box has an additional layer inside! This would come in handy if you had some ingredients you wanted to leave off until the last minute, such as nori. Or if you wanted to pack two different flavors of rice balls. I envision you could probably also fit in a hearty oatmeal cookie, on the top layer, and some nuts and dried fruit on the bottom layer, for a satisfying snack. 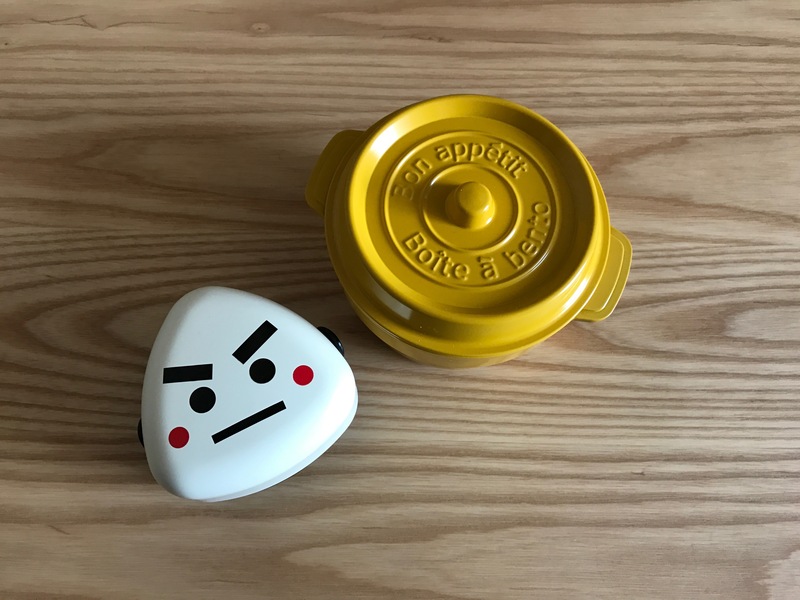 I haven’t had much time to experiment with onigiri lately, but I’ve used this little bento box for snacks~ such as fruit and cheese. 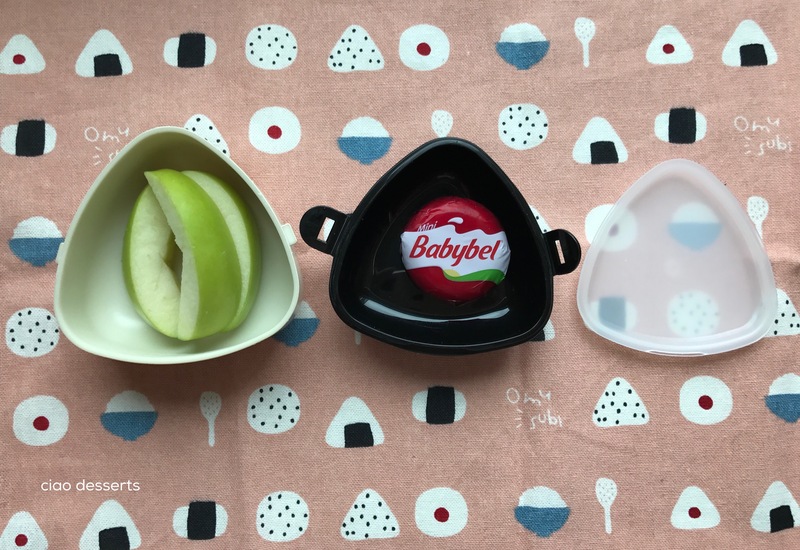 I tend to carry one of those bottom-less tote bags for work, and everything somehow sinks to the bottom and gets smushed, so this little box helped keep my apple slices and Babybel cheese safe and sound. Next up is this kawaii yellow bento box. I think it was called “CocoPot.” The dimensions are: 12.3cm×14.4×8.6cm. It’s microwavable, with the lid off. (But I probably would most likely use it for cold, or room temperature bentos) One part that surprised me was that it was actually a little difficult to pry off the lid! This gave me high hopes that this bento box would be pretty leakproof. The bento box is also two layers, which is convenient, especially if you are one of those people who don’t like their foods to touch each other. The second layer is actually a separate container. so you could remove it and eat from it separately. I was pleasantly surprised by the leakproof-ness~ I filled the middle layer with water and tilted it up and down, and gave it a hearty jostling, and just a tiny bit of water leaked out. (I don’t imagine ever having this level of movement during my commute to work). While I wouldn’t recommend this type of bento box for soup, I can see it safely carrying something with a little bit of sauce or liquid. Just make sure to keep it relatively level, and of course resist the temptation to bounce it up and down. 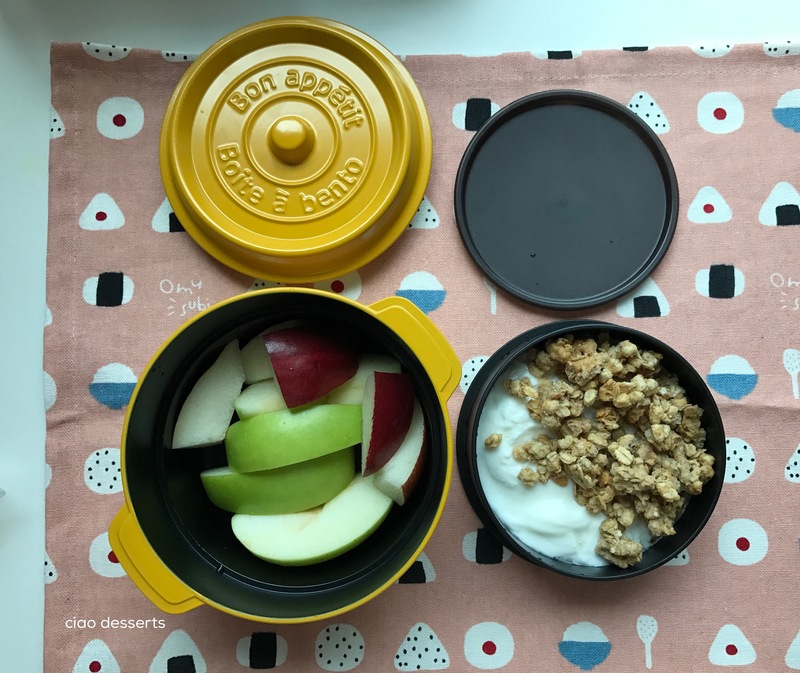 So far, I’ve found my little CocoPot to be perfect for a breakfast of yogurt, granola and fruit. I like my granola to be a well absorbed with yogurt, so I don’t mind mixing the two together, but if you like your granola crunchy, you can certainly contain the granola in the bottom layer, and the yogurt into the removable portion. I can’t wait to explore more bento box options! I would love to get into the habit of bringing my own food, instead of solely relying on the abysmal options available within walking distance of my office. If you bring your meals to work, please share your ideas with me. This was not a sponsored post. All experiences and opinions described are my own. I paid for all items with my own money.